This overshelf requires 2 pairs of posts (4 total posts) for installation. Does this overshelf come with the necessary posts? This overshelf does not come with posts. They are sold separately in pairs. The Eagle Group 421004 Flex-Master overshelf utilizes vertical storage space to help make your 4-well hot food table more versatile. 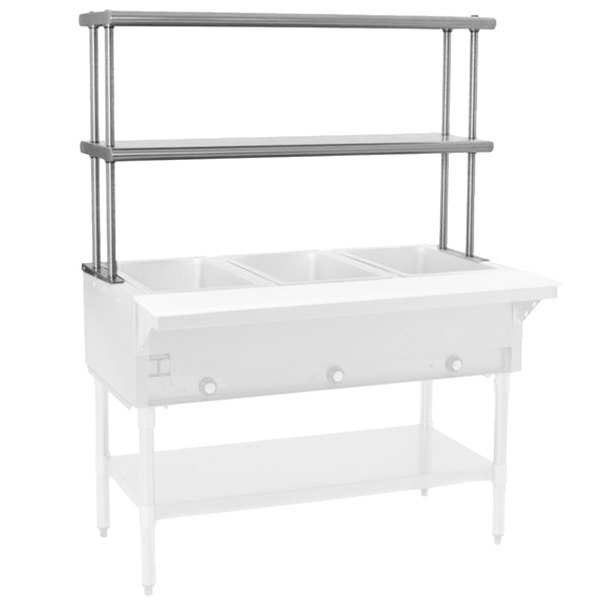 This 10" x 63 1/2" overshelf unit is compatible with both new and existing tables, making it easy to add storage space for pots and pans, serving utensils, spices, and more. 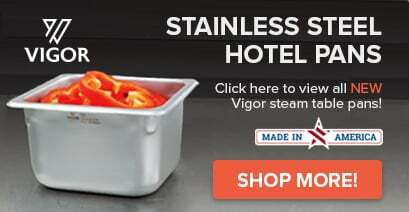 Split sleeves and tapered collars make for easy assembly, while its easy-to-clean stainless steel construction matches the finish of most hot food tables and ensures excellent durability. With shelves that are adjustable in 1" increments, this Flex-Master overshelf is also customizable for maximum convenience and versatility, allowing for all kinds of storage options.